Sudden rise of temperature with high fever. Burning thirst for large quantities of water. It is useful in initial stage. Fever starts very slowly and gradually. Great exhaustion and lassitude Aching in back and limbs. Complete absence of thirst or very little thirst. Patient is dizzy and drowsy, wants to be left alone. It is nearly simillimum to small pox than any other remedy. It should be given in the second stage when the pustules have formed. Pustules with red areola, which have a crust and form a scar. Pains in back and loins. It also suits cases where the eruption does not come out properly. Boenninghausen employed this remedy with success and believed it to be the best curative and preventive remedy in small pox. Pustules milky and flat, painful to touch. Give especially during stage of maturation, it may prevent pitting. It is useful in stage of maturation. Moist tongue with great thirst. Tongue dirty yellow, swollen, flabby with imprint of teeth. Great thirst with profuse saliva in mouth. Diarrhea or dysentery with tenesmus during desiccation (Process of drying). 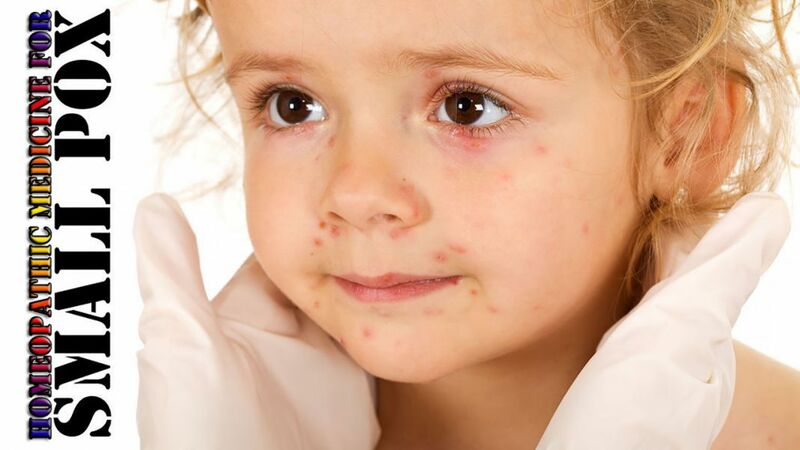 It is useful at the commencement of vesication, when the vesicles are small and also when the pustules turn black and when there is diarrhea with dark bloody stools. Burning heat with great restlessness. Pustules become flat, livid, dusky and hemorrhagic. Diarrhea is an attendant symptom. It quickly removes all dangerous symptoms, dries up the vesicles and prevent all scars.